Pantera Parts Connection is a company dedicated to delivering parts to customers who expect the best. Let Pantera Parts Connection be your way to stay connected to Pantera events, parts, and performance information. Alejandro de Tomaso is truly an interesting personality. During the last decade he continually made headline news as he bought and sold car factories in the same way a used car dealer buys and sells Chevrolets. He juggled several companies and continued to enlarge his empire from 1966 until 1976. Beginning about 1986 some turmoil occurred, culminating in his selling half of Maserati and Innocenti to Fiat in 1989. Such are the many peaks and valley's in the career of a business tycoon. De Tomaso was born (a twin) July 10, 1928 in Buenos Aires and kept his Argentine citizenship even though he has lived in Europe for more than 35 years. His grandfather originally emigrated from the South of Italy. Alejandro's father was born in Argentina in 1894. He studied medicine and law. He was Minister of Agriculture and on his way to becoming President of Argentina when he died in 1933 at the early age of 39. Alejandro's mother came from a wealthy family of Spanish origin and descended from a Viceroy of Argentina in 1570. Her name was Ceballos, and an avenue in Buenos Aires still carries that name. Alejandro left school at the age of 15 and went to work on one of the many estates his mother owned. He returned to the city after the war, where he and some friends started a political news paper called "Clarin" to oppose President Peron and his government. Eventually he was arrested and forced to return to the countryside. In 1955 he returned to Buenos Aires to take part in an attempt to overthrow the Peron regime, but when this failed he was forced to leave the country (and the politics) for good. From an early age racing and racing cars has possessed de Tomaso. In 1945 he drove his first race in a modified Bugatti Type 35. He started in club races, but in 1954 he was offered a chance to co-drive a Maserati in the 1000-km race of Buenos Aires. One year later he managed to win his class in this important race, together with Reyes in a new 2 litre Maserati A6GCS. In 1955 he found a job as a test driver for OSCA (founded by the Maserati brothers), in Bologna, Italy. The Maserati factory did not need his help, but it was there that he met a tall American blond, Elizabeth Haskell, granddaughter of William C. Durant, one of the founders of General Motors. Elizabeth had made a name for herself racing MGs and Siatas in SCCA races, and had traveled to Modena to look for a new Maserati sports car. She bought a 150S and found a husband at the same time! Driving Elizabeth's car, de Tomaso and Tommasi finished fourth in the 1956 1000 km race of Buenos Aires. In 1956 De Tomaso married Elizabeth (who took the Italian version of her name, Isabelle). They competed together in the 12 hours race at Sebring, but went out after one hour with a broken gearbox. In 1957 the de Tomasos arrived in Buenos Aires to compete in the 1000-km race with a new OSCA. They won the 1500 cc class in such a way that the British magazine "AUTOCAR" reported: " A most significant performance was that of the 1.5 litre OSCA, which finished ten laps behind the winner (Gregory-Perdisa-Castelotti-Musso in a 3.5 litre Ferrari), although it stopped many times towards the end; at its full performance it could probably have caught the Bonomi-Piotti 3.5 litre Maserati. The little OSCA, driven by two relatively inexperienced drivers, buzzed happily 'round the track for hours on end, frequently sailing past much larger cars". For 1957, de Tomaso drove a new OSCA in the three-hour race at Spa-Francorchamps. The car had a new experimental engine with desmodromic valves which were not very reliable at the time. It blew up when de Tomaso was leading the race but Isabelle finished second in her class driving a Lotus. The 1958 season opened again with the 1,000-km race of Buenos Aires. Collins and Hill in a Ferrari won the event and the De Tomasos were sidelined with a broken rear axle. In the twelve hour race at Sebring they won the Index of Performance when their 750 cc OSCA, finishing eighth overall behind some Ferraris, Porsches and Lotus. The winners of that race were again Collins and Hill in the Ferrari. For the 1958 24-hour race at Le Mans, De Tomaso had chosen Colin Davis as his co-pilot. The duo drove the little OSCA to an 11th place and captured the Index of Performance. The 750-cc car had driven twenty-four hours with an average speed of more than 140 km/h covering 3,366 km. In 1958 de Tomaso built his first car. Technically it was an interesting design with the 750 cc OSCA engine mounted in front of the rear axle, which was quite unusual in those days. Unfortunately the car was never raced as the Maserati Brothers, builders of the OSCA, had forbidden the Argentinean to use the engine for this purpose and wouldn't change their mind. In 1959 the de Tomasos moved from Bologna to Modena, (where they still live), and where a second car, this time an F2 monoposto, saw the light of day. This time the Maserati brothers gave permission for the use of their DOHC 1492 cc OSCA engines and the Isis, (named after Isabelle) made its racing debut at the Sebring circuit in December 1959. The Isis made a good impression with a top speed of 240 km/h but had to retire from the race with mechanical problems. In spite of this bit of bad luck, De Tomaso accepted fifteen orders for similar cars -- which were never built -- because he already had new plans in mind. The future was to be found in the new Formula Junior class, for which he built several cars. The next project was a Formula One car, for which Alberto Massiminio (of Maserati fame) designed a flat eight-cylinder engine. The car was seen during practice for the 1962 Italian Grand Prix but did not appear in the actual race, as the engine was not powerful enough. Virgilio Conrero then tuned a four-cylinder Alfa Romeo engine for the car, but the power was insufficient to make any impression. For the 1963 season, the F1 car was equipped with an OSCA motor. Drivers like Vaccarella, Businello and Lippi tried their luck with it but they had no chance against the Lotus, Cooper and BRM cars of the day. In 1962 de Tomaso started experimenting with different light alloys and produced connecting rods, valves and even a crankshaft in titanium. For the SCCA G-Class he built a sports car with an OSCA engine in the rear. Bob Schroeder bought a similar car, (fitted with an Alfa Romeo engine) and had some success with it. For the British firm Holbay De Tomaso developed a four-cylinder engine for F2 racing. This motor was, in fact, half of Massiminio's flat eight but again it remained a one off. Like so many drivers and designers, the Indianapolis 500 fascinated de Tomaso. In 1964 he wanted his cars to compete there, so he built one just for "The Brickyard". Power came from a Ford V8 mounted in the rear of the car, but more interesting was the body layout. The front end of the car was cast in a single piece of magnesium by Campagnolo, with double walls, with the intervening space serving as a fuel tank. The car was shipped to the USA on July 27, 1963 for testing at the Oval, but that's the last we heard of it. It did not attempt to qualify for the 1964 race. Another one off was an F3 car shown in 1963. Similar to the Indy car the engine was part of the chassis structure, a device De Tomaso was to use on most of his future models. In 1965 a "production car" was shown at last. It was dubbed the Vallelunga, named after the racing circuit near Rome and though the prototype had been a spyder, the production car was a two-seater coupe. A wide backbone formed the chassis and the power came from a tuned Ford Cortina engine. de Tomaso himself had reportedly designed the body of this attractive looking car. Fifty Vallelunga's were built, a number too small to get the car out of its development stage. In 1965 a new spyder was built around a back-bone frame. This time, the backbone was built up from aluminum sheet so that the tub, with a diameter of 35 cm could serve as a fuel tank. At the rear end of the tub a 1831-cc flat eight-cylinder engine was mounted. Why De Tomaso built this car is unknown and it looked as if he was working more for himself than for his customers. The development of a sports car with a Ford five litre V8 was not followed up either. The body of this car was designed by the American stylist, Pete Brock and the actual bodywork was done by Fantuzzi in Modena. An interesting detail was found in the rear spoiler that was coupled to the gearshift lever. The higher the gear ratio, the flatter the position of the spoiler. Carrozzeria Ghia built a second, similar car, but that was the end of the production. Bigger production facilities were opened in 1966 at the via del Vitali 55 in Modena. "More space and better people" must have been de Tomaso's thinking as he engaged experts like Nello Ugolini, Ing Dallara, Molinari and Bellentani. In this new factory there was room enough for a second production car, the Mangusta, which had a body designed by Giugiaro and built by Ghia; but again the car offered to the public was slightly under developed and had more than its share of faults. Carrozzeria Ghia had been active in coach building since 1915 and during the sixties was looked upon as one of the most important specialists in this field. Financially, in 1967, things were not so rosy. Since the death of Giacinto Ghia the company had been sold several times and in 1967, it was owned was Rafael Trujillo, son of the dictator of the Dominican Republic. Trujillo was in jail in 1967 and needed bail money badly. de Tomaso had enough cash to make a down payment and was able to buy the firm for $ 650,000. Alfieri Maserati, son of Ernesto Maserati, became director and de Tomaso rented a new office at the Corso Unione Sovietica 300 in Turin to supervise his new acquisition. Isabelle de Tomaso's brother, Amory Haskell and her brother in law, John C. Ellis ran a successful business in New Jersey, the Rowan Controller Company of Oceanport. The company did well and was quite profitable particularly in electronics. Cars interested them as well and so de Tomaso sold Ghia to his relatives in May 1967. In October 1967, Rowan also obtained 80% of the De Tomaso Automobili stock leaving Alejandro with enough cash in the bank for more new ventures. One of these was a Formula 2 car for which Gianpaolo Dallara made the drawings. Jackie Ickx drove the car on the circuit of Enna. Piers Courage tried his luck at Vallelunga and then the car was shipped to South America for Jonathan Williams to compete in the Argentine Temporada. In 1969 De Tomaso Automobili moved to the via Jacopo Peri 68, where the production of the Mangusta really got going. 1969 must have been an important year for de Tomaso! He not only bought Carrozzeria Vignale (70% of the money came from Rowan), but he also made his first contacts with Henry Ford II, a move that was to have a direct influence on his future. Henry Ford's second wife, Christina Vettore, was of Italian origin, and that might have been one of the reasons why Ford wanted to buy an Italian automobile company. In 1963, he had tried in vain to buy Ferrari and four years later he had started dealing with Lancia, also without success. With de Tomaso he succeeded and in a press bulletin of September 9, 1969 Ford announced that the Ford Motor Company had made arrangements to exchange technical services with De Tomaso and Carrozzeria Ghia. And in addition Ghia was to build prototypes and show cars for the Americans. In March 1970 Amory Haskell and John Ellis died when their small private plane touched the tower of their airfield and between the heirs there was the de Tomaso family. In June 1970 Ford bought 80% of the Ghia, Vignale and De Tomaso Automobili stock and the remaining 20% went to a new firm, De Tomaso Inc.
A first joint venture was the Pantera, the car most often associated with De Tomaso. In Italy the car was built under the code name "Tipo 874" but at Ford the project was named M.S.E for Mid-Ship-Engine. The Pantera was meant for the American market and Ford kept the rights to serve this market. Importation was handled by De Tomaso of America Inc. in Livonia, Michigan and sales and the Lincoln-Mercury Division in Dearborn looked after service. De Tomaso was allowed to sell the car in other areas of the world. In 1971 De Tomaso sold approximately 300 Panteras in Europe. When the first cars arrived in the USA, it was soon clear that they were far from perfect, but evolution and improvement made them quite impressive especially for the price. Problems were numerous, and were compounded by ever more stringent pollution, bumper, noise and gas mileage legislation. Several 1975 prototypes and alternative were shown, but it was just the wrong time. It was unfortunate but importation stopped at the end of 1974. Lincoln-Mercury claimed that 6,091 Panteras had been brought to the U.S. by then. In the meantime de Tomaso had not forgotten the racing scene; quite the contrary. With the help of Dallara, three cars were built for Formula One to be raced by the Frank Williams Team in 1970. Williams got the cars free of charge but had to buy the engines himself and worry about the maintenance. In October 1971 de Tomaso began a new career, this time in the motorcycle business by he buying the Benelli factory. By the end of 1972 he also owned the famous Moto Guzzi works. Dallara left de Tomaso to join Iso Rivolta in 1973 and Ugolini retired the same year. He was replaced by Aurelio Bertocchi, who brought his famous father, Guarrino Bertocchi (he had worked for Maserati since 1926), with him as a test driver. Guarrino Bertocchi died 1981 in a De Tomaso Deauville during a demonstration run on the Autostrada between Mirandola and Modena. His son suffered a similar fate in February 1985. The present De Tomaso works at the via Emilia Ovest 1,250 in Modena were opened in 1973. Here, Panteras were built for all countries (except the USA) alongside Deauvilles and Longchamps. Bad times were heralded in the way of an oil crises: during the first three months of 1973 Lamborghini had sold fifty-four cars, worsening to only nineteen examples for 1974! Other exotic car manufacturers had the same problem, with production numbers for Maserati ninety-four and forty-two, and for Ferrari sixty-seven and twenty-eight respectively. De Tomaso was hit even harder. During the first quarter of 1973, sales totaled 101 cars but for the same quarter of 1974 production had fallen to only twenty-nine cars. In 1975 Citroen offered the Maserati works for sale and of course De Tomaso was interested. He bought 30% of the shares with the remaining 70% being taken by GEPI, a state institution that buys financially weak companies to prevent workers from losing their jobs. For Ing Giulio Alfieri, who had been responsible for the most important cars built by Maserati during the last twenty years, this was a reason to move to Lamborghini. Other Maserati workers were sent home and De Tomaso reduced its workforce from 900 to 600, a measure that the GEPI had tried to prevent. The next step in enlarging the De Tomaso Empire took place in February 1976 when he bought a 25% stake in Innocenti a move, which was followed by the purchase of another 55% in 1979. In 1989 De Tomaso sold 51% of his Innocenti and 49% of his Maserati stock to Fiat. In July 1990, the very last of the original Panteras left the "production line". Its successor had been shown at the Turin Motor Show some months earlier, and this 1991 Nuova (new) Pantera was not be the last of Alejandro De Tomaso's creations.Whereas the prior car was of a monocoque chassis layout, this new and final version of the Pantera employed a largely tube frame structure. The goals were lighter weight and increased chassis rigidity. Both goals were met according to the factory. An all new suspension was also part of the package. The earliest units of the new car still employed the ZF 5-speed transaxle, while later cars offered a Getrag 6-speed unit. The 1991 cars also marked a major change in the engine compartment. While all previous Panteras carried the aforementioned 351 Cleveland (and some 351 Windsor) engines, the new model switched to a modified 5.0 liter (302 cu. in) Ford V-8, a unit that traced its roots back to the same engine used in the Mangusta. Rated at 305 horsepower, the new unit employed computer controlled direct port fuel injection and the latest electronic engine management systems. ANSA developed a fully catalyzed exhaust system for cleaner exhaust emissions, yet the car maintained the deep toned exhaust note associated with a Pantera. The Guara represents De Tomaso's first all new model of the 1990s. Built upon central spine chassis, this mid-engined design conceptually recalls the original Vallelunga, The Guara was conceived with exceptionally high performance as its main goal. First shown at the Geneva Motor Show in concept for in 1993, the Guara went into production in 1994. It is available in close coupe, spyder (with a removable roof section) or barchetta (full open roadster) form. The Guara's body panels are rendered in combinations of fiberglass, Kevlar and other composite materials. The styling was done in-house by DeTomaso. Presented at the 1996 Geneva Motor Show, the Bigua's shape and concept was a joint effort between Alejandro DeTomaso and Marcello Gandini. Its most unique feature is its modular top design, which can be configured in any of three ways: closed coupe, open topped targa, or full open convertible. The middle top section is removable, and the rear top / window portion can rotate down into the body. No cloth soft top is required! For power, De Tomaso has again partnered with Ford, this time for their latest high performance V-8. The all alloy, double overhead cam, 4-valve-per-cylinder V-8 engine is rated at 305 horsepower, and includes complete electronic engine management and direct port fuel injection. One of Ford's newest designs, it is extremely powerful, docile and sturdy. Both a Borg-Warner 5-speed manual transmission and a computer managed 4-speed automatic unit will be available. Without a doubt, the Bigua (sold in the US as the Qvale Mangusta - ed.) will not be the last of DeTomaso's Creations. 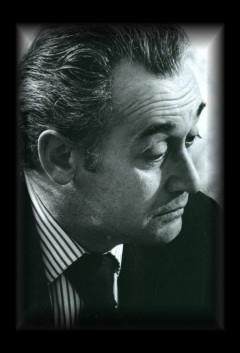 Alejandro De Tomaso passed away in May, 2003.